The cardiac rehabilitation unit at Desert Springs Hospital Medical Center is a unique, medically-supervised program that helps patients who have experienced recent cardiac issues, such as heart surgery or heart attack. Patients are safely led through an exercise program that is based on their abilities and physiology. Education and classes are available to help patients reduce their risk for heart disease through nutrition, stress reduction, medication management, smoking cessation, diabetes management, safe and effective exercise at home and weight reduction. During Phase III, the patient takes a more of an active role in tracking their activities. They are provided an exercise program, assistance with life-style changes, cardio and strength equipment, personalized services and educational lectures. 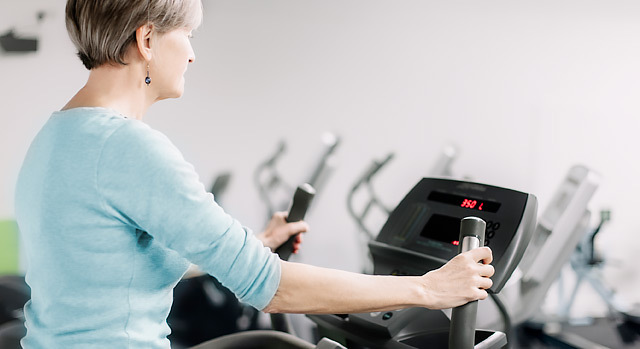 A physician must order cardiac rehab to assist with your recovery. Outpatient cardiac rehab is usually covered by most insurance plans, including Medicare. Coverage may vary depending upon your diagnosis and insurance provider, so be sure to check with them to verify your coverage. For questions, call the cardiac rehabilitation unit at 702-902-1700. If you need a referral to a cardiologist or other physician at Desert Springs Hospital Medical Center, call our free physician referral service at 1-702-388-4888.